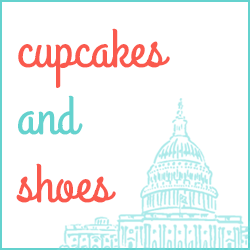 Cupcakes and Shoes: Can we talk about this perpetually single epidemic? Can we talk about this perpetually single epidemic? Last weekend a couple of college students from Boston stayed with me when they came through DC for spring break. I didn't know them but had signed up through my church to take in some students, which some of my friends highly commended me for, but I did that kind of stuff in college too, so I feel like now I can pay it forward. Anyway, they were telling me about what they're studying and what they want to do after college, and, after recommending they come back to DC for internships, I warned them, "If you want to get married, try to find a guy now." They giggled and I didn't push it, because this is a taboo topic for career-driven girls. Just the fact that they would giggle was an indicator to me that it made them uncomfortable. But seriously, where else will you be around so many eligible people your age, and often with similar interests? And not only that, but when else will you be forgiven -- and be able to forgive yourself -- for making so many mistakes in love? I had a love in college and I chose to end it to pursue a life goal that I felt strongly I should do alone. I don't regret my decision and I never have. But I do realize now that my ambitions for myself and my career, plus the notion that I had "plenty of time," put me on a path that has not led to a successful romantic relationship. I turn 33 in a couple of weeks, and no one is telling me I have plenty of time anymore. Now I get lots of unsolicited dating advice, which is mostly just veiled criticisms of how I've handled my love life. 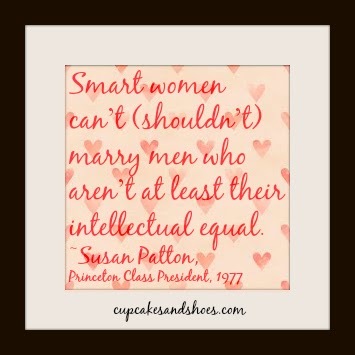 Susan Patton, a Princeton alumnus and mother of two sons, recently told CNN, "If you know [marriage] is what you want, plan for it, because it doesn't just happen." She's getting a lot of heat for this interview, which was sparked by her Letter to the Editor of The Princetonian about her concern that the feminist focus on developing your career is so strong that messages about getting married aren't heard or even spoken. "Clearly, you don’t want any more career advice," she wrote in her letter. "At your core, you know that there are other things that you need that nobody is addressing. A lifelong friend is one of them. Finding the right man to marry is another." In the article she frankly and boldly expresses what I've been considering since my late 20s -- "you will never again be surrounded by this concentration of men who are worthy of you." I say this fully aware that I live in Washington, DC, one of the most (if not the most) intellectual cities in the world. But that fact contributes to one of the greatest problems with dating in this town, from my point of view, which is that many people come here to make a name for themselves or, at least, to develop their careers -- not to find love, and not to settle down. Below Susan's Letter to the Editor, you'll notice the barrage of hateful comments. The opposers' comments are mostly short and accusatory in nature, but the supporters' comments are quite thoughtful. I think the quickness to judge what she's saying only reinforces her point -- that it's not a bad thing to want to get married, and if you feel that way, you should acknowledge it and work it into your life plan just as much as you do your career. Not all women need to work at this, but some of us do, and I think I, personally, could have been smarter about how to reach that goal. Young, professional women need mentors and peer support in this just as much as they do in their careers. I'm quite happy with my accomplishments and even having ample time as a single person to figure out who I am and how I want my life to be. But I can't help but be concerned about how many of us eligible, smart, successful women are still single when we don't want to be single anymore, and we haven't wanted that for a long time. I, for one, am thankful for Susan's advice, even though it came too late for me to apply it. It bothers me that our gut reaction to this topic is to snarl and scoff, when at its core is a plea to talk openly and honestly about a real and widespread issue that all of my girlfriends and I talk about regularly in private. Very interesting post, Mary El. I, too, as a now-30-something also appreciate her advice (or at least the spirit behind it), although I would have been one of those indignant 20-year-olds had it been given to me during my college days. I think the reason it would have gotten under my skin back then is that I was conditioned to believe that admitting that I wanted to get married was somehow a show of weakness and would make me seem "desperate" or otherwise unhappy with my life. I wanted people to know that I had big career ambitions and other great plans for my life, and I wasn't about to put those plans on hold just to sit around and wait for Prince Charming to come along (or to feel sorry for myself if he didn't). I also wanted people to know that I didn't have any delusions that marriage would be a magic ticket to Happily Ever After (c'mon, I'm not that naive!). Now, in retrospect, I think it's a shame that young women are made to feel that way. There's nothing wrong with wanting to have a life partner. There's nothing wrong with wanting to have children. These are very natural desires. Having these desires does not reflect poorly on your intellect or on your ability to be independent, and getting married doesn't necessarily mean you will have to compromise your career goals or your other life projects. In fact, the right match would be supportive of your ambitions, willing to contribute to your success, and bursting with pride that his wife is such an awesome catch! You know, I had family members who prodded me about having boyfriends in college, and I took it as Southern judgment. The problem is, as you touched on, many of us feel ashamed to want marriage and children when we're in our 20s, and that fear to be honest with ourselves and others has closed us as individuals and made us frustrated. I'm not sure you can plan to get married (actually I AM sure you can, because I've seen it done, but that's not the way I want it to pan out in my own life), but you can work the idea into your psyche without having to be so secretive about it. Partnership in love and life is a wonderful thing, and we should find no shame in wanting that. Just as we should find no shame in getting the highest degree we want and working toward the highest level in our careers. and Handsome” gets harder and harder, the older you get. And why? knowing where to look. BTY - when guys turn 50, all they have left are tall as Dark and Handsome will have turned into receding hairline/male pattern baldness and a food baby. Well I'd like to think I have it all... I'm turning 29, getting married in 3 months to a boy I've been with 8 years (we met in college), and both of us have six figure salaries. I have always put my school, career ahead of relationships and I definitely would be single today if my fiance did not sacrifice for me. He moved 3000 across the country for me twice and he always put me before his career (at it worked out in the end, because he does well for himself and got promoted quickly in the corporate world). That said, one person has to give, no doubt it about it. By the time we've established our careers, we're already in mid to late twenties (if we're lucky) and if we only start seriously looking once we're settled, we don't have much time... and the candidate pool is slimmer as the good ones are already gone! I think this is a great post and it's something I've been thinking about a lot lately. I definitely always had a "plan" in the sense that I wanted to be married and starting a family around 30, but that's the most I did in terms of planning. I figured it would just happen when I was ready and got to that stage, but it turns out it's not that easy. So I can see that part of her reasoning. The thing is, while I think you can plan for marriage, I'm still not totally convinced that you can plan romance. The women who planned and got both marriage and romance are very lucky ... and often fairly rare. More and more I realize that my peers who married younger were settling, because they just wanted to be married. Not all were, of course, but many. So while I'm in my mid-30s and still single, I try to remind myself that I'm happier here than I would be in a marriage that wasn't everything I want it to be. That part I have been planning for and I won't settle for less. I'm not sure anyone can have it ALL, but I think figuring out what you want and then prioritizing it is important. For me, as for many others I suspect, we subscribed to the idea that "it'll happen when it's right", but I think if we're honest with ourselves, we know that's not true. The divorce rate alone proves that there's more to it. This is my point -- that we should make concerted efforts to be open to love, romance and marriage if it's something deeply important to us. Many of us ran away from it in pursuit of other things, and in hindsight that wasn't a good plan. It's all true Thalia! Congrats for your accomplishments and impending nuptials. :) It's not impossible to have everything you want, but you have to work at it and be with someone equally invested. So happy for you that you've found that. *love* No I don't think you can plan for romance. It wouldn't be exciting if you could! And I wholeheartedly agree that marrying just for the sake of it is not wise. I, personally, am not unhappy being single now. I think I'm just getting older and wiser, and realizing that I could have approached life/love differently in my 20s. We were so strategic and thoughtful about everything else, why not our love lives? Thank you Mary El-- I wanted to add one last thing that is munching on my brain... Even if I didn't have a wonderful boy, I would still choose career over marriage. Truth is, you cannot plan for marriage... you could be with someone and have it not workout (breakup or divorce). I would feel very uncomfortable if I was left empty handed. 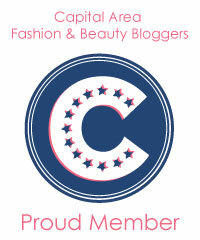 At least with my career, I know I will always be able to take care of myself and live comfortably. Finding the right person later in life is more difficult, but it can work out, and I do believe that. Your day will come Mary El!